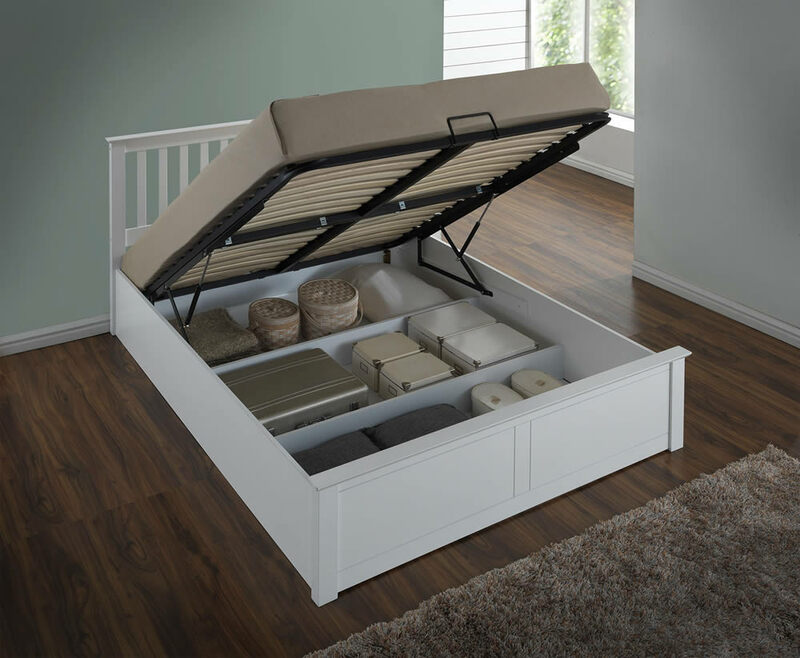 The Flintshire Furniture white Pentre hardwood ottoman storage bed features a hydraulic lift up mattress base which gives access to three large under bed storage spaces. 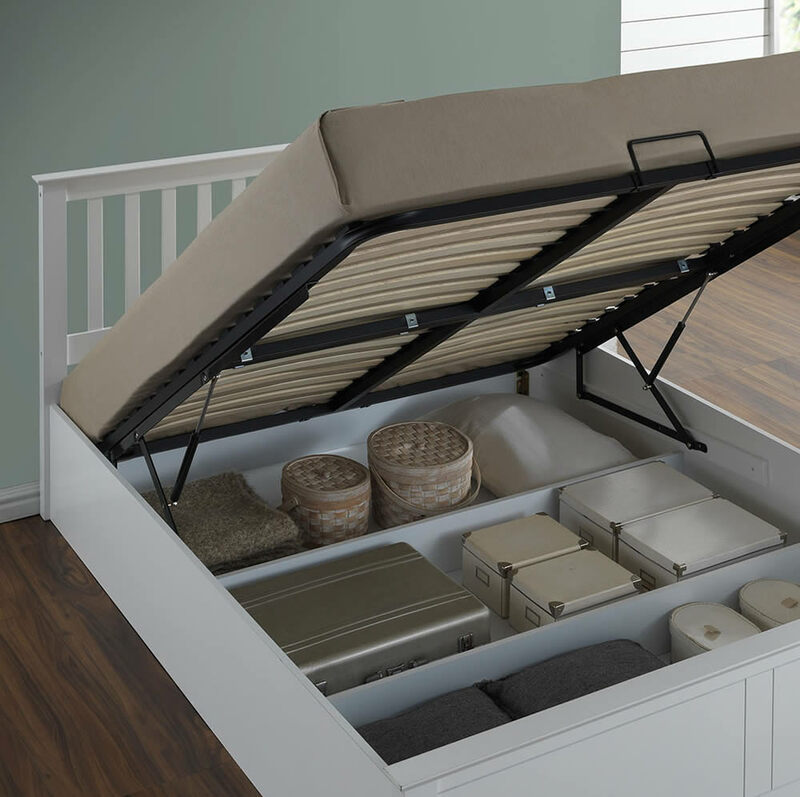 The metal lift up base has hydraulic rams to assist with the raising and lowering of the mattress whilst offering wooden sprung slats for additional comfort. 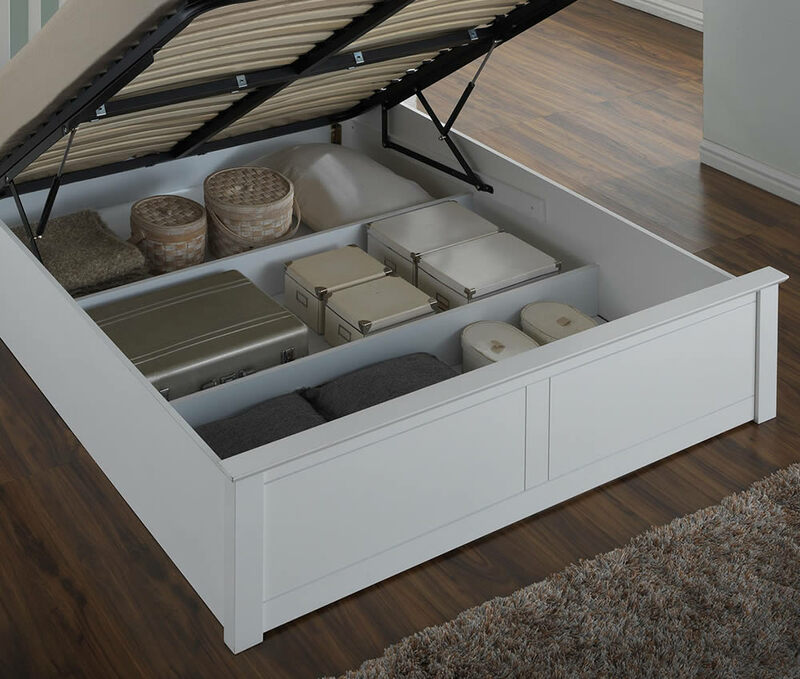 Made from good quality hardwood with a durable white painted finish and is available in a choice of standard UK double or kind size frames. Mattress Dimensions: Standard UK Mattress Sizes.